As a class, polyneuropathies are some of the most commonly presented disorders to a neuromuscular clinician. Polyneuropathies generally are of one of two forms, axonal or demyelinating. This classification is often helpful in identification of potential causes. Axonal polyneuropathies are most commonly associated with diabetes, alcohol, or toxins, including side effects of medication. Demyelinating polyneuropathies, as a whole, are much less common and can be acute or chronic, and idiopafhic or associated with a monoclonal gammopathy. Finally, hereditary neuropathies, including the various forms of Charcot-Marie-Tooth disease, have similar but somewhat distinct characteristics compared with acquired forms of polyneuropathy. 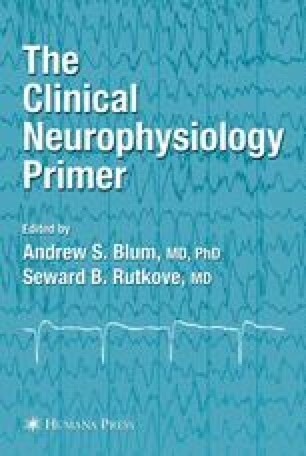 Nerve conduction studies, and, to some extent, needle eletromyography (EMG), can assist with the evaluation of polyneuropathies, and can help to shorten the differential diagnosis regarding potential causes.